Spotted this on Reverb when checking out a listing in that forum. "4 modern guitarists who drove up prices on obscure guitars"
Don't know if it's ben posted before but a re-run can't hurt. 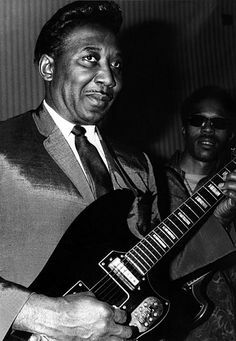 Muddy with his T-bird and Buddy Guy with a Starfire are the two reasons I first got interested in Guild electrics. My NS T-bird is black, of course! I don't have any of his records, but Auerbach is a cool dude. And I'm pretty sure he's 100% the reason Guild reissued the T-Bird. Ah, I was expecting the Black Keys' "Lonely Boy". But I agree with Walter I bet he was almost 100% if not completely responsible for 'em to re-isusing the Thunderbird.